This post is sponsored by RW Garcia. All thoughts and opinions are my own. You guys: I have another amazing appetizer to share with you: Roasted Eggplant Dip. Now hold on, I know what you might be thinking. That sure eggplant is a pretty color but not-so-much as a favorite food, right? Well I’m about to change your mind. Because this dip is seriously so yummy and easy to make (score!) and I know you’re going to love it. If you can chop vegetables and turn on the oven, you’re halfway there. 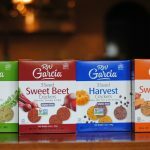 Pin this recipe and serve it up for the holidays alongside RW Garcia’s Gluten-Free Artisan Crackers for an appetizer to remember. They contain minimal ingredients, all which you can pronounce and are familiar with. 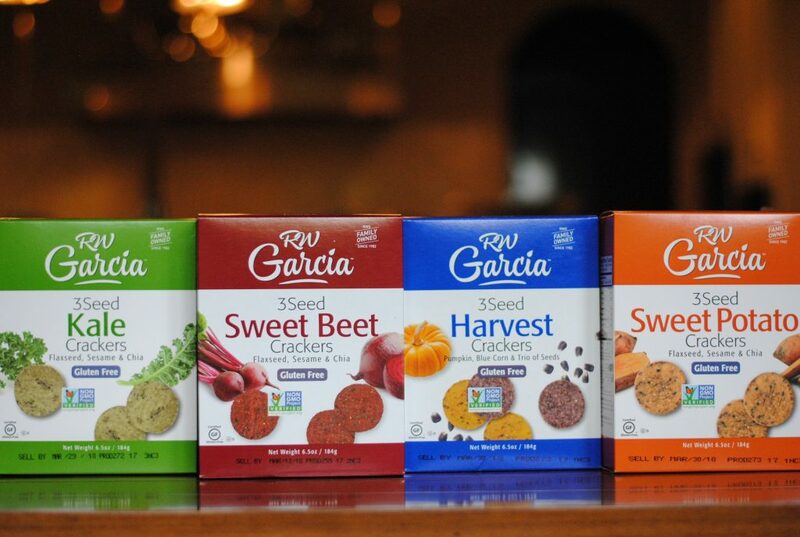 The red beet crackers contain red beets; the sweet potato crackers contain sweet potatoes, etc. The benefits are there, but the taste is not overwhelming. 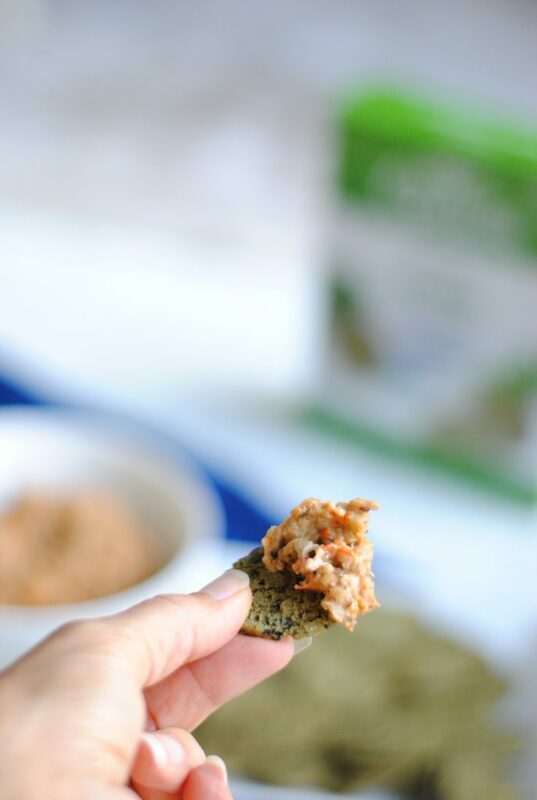 Each of the 6 varieties contain flaxseed and chia seeds, providing an added crunch and a little dose of fiber. These crackers are gluten-free, and 3 of my 6 family members (including me) abstain to this lifestyle. And now for the recipe! This is so easy, my friends. Using a vegetable peeler, peel the eggplant and cut the ends off. Cut into cubes and place in a large Ziploc bag. Slice the red pepper into similar-sized pieces, and place this in the bag with the eggplant. Add olive oil, zip bag, and shake to coat. Wrap garlic cloves in aluminum foil and place this aside the veggies from the bag on a baking sheet. After roasting, let cool for about 10 minutes. Unwrap garlic from foil and add this, along with roasted vegetables to a food processor. Add tahini and pulse for 30 seconds. 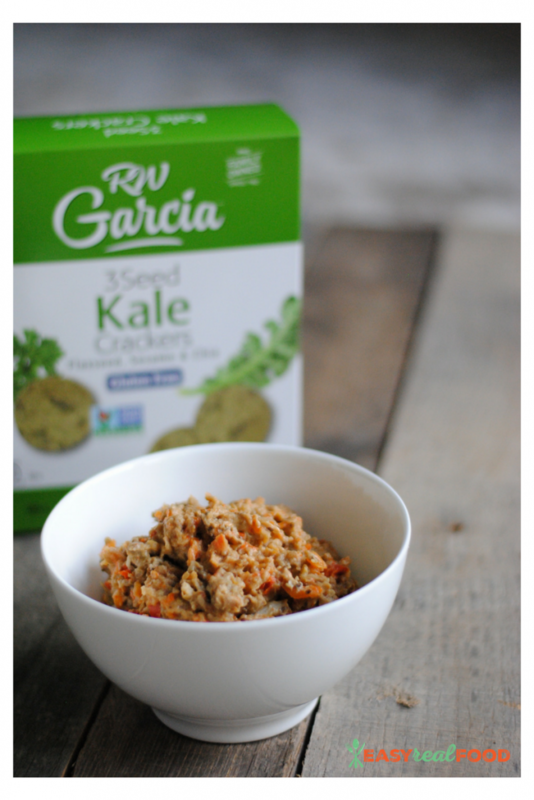 Using a spatula, place dip into a bowl and serve alongside RW Garcia Gluten-Free Artisan Crackers. Voila! So simple, yet so good. Eggplant, tahini, red pepper and more are blended into a smoothy, satisfying feel-good dip. Preheat oven to 400 degrees F. Place eggplant, red pepper, olive oil and salt in a large Ziploc bag. Shake to coat vegetables. Place prepared vegetables on a rimmed baking sheet. Wrap unpeeled garlic cloves in aluminum foil, and place that on the baking sheet as well. Roast 40-45 minutes, tossing once halfway. 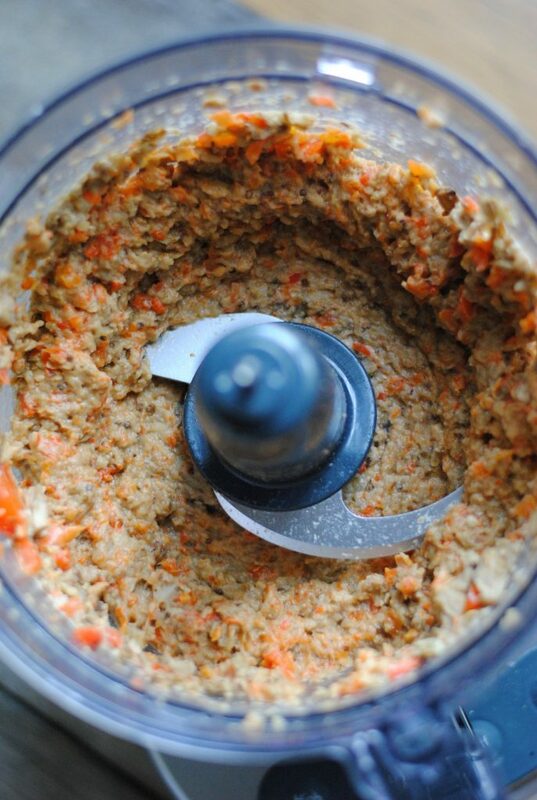 Let vegetables cool for 10 minutes before adding to a food processor, fitted with a steel blade. Add tahini and pulse ingredients for approximately 30 seconds. Let me know if you love this dip as much as I do. I’d love to hear your input in the comments below!